SKAE Engineering Solutions, P.C. (SES) has a wide range of experience designing new critical power systems, analyzing and expanding existing systems, establishing or improving the reliability of mission critical facilities. 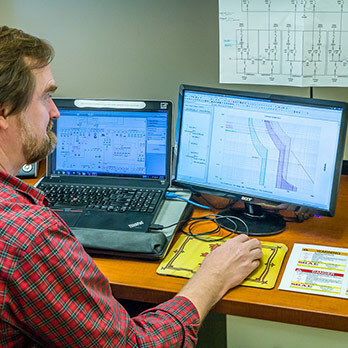 Our engineering and field services include establishing design criteria, electrical system studies, power-quality analysis, site surveys and preparation of as-built electrical system drawings. As a professional corporation, with multiple professional engineers on staff, SKAE Engineering Solutions has the capability to perform MEP Engineering in-house. However, we choose instead to partner with local MEP Engineering firms who have a demonstrated expertise in infrastructure design. 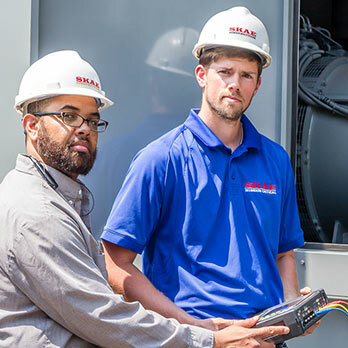 Acting as the client's mission critical power system consultant, we establish the design criteria and supervise and direct the MEP firms, in a collaborative, "teaming" effort, through the detailed design, submittal and approval, construction administration and testing/commissioning phases of the project. This model allows us to minimize the "time to deploy" while maximizing the value proposition to the client, from concept to commissioning. Electrical system protection and coordination analyses are provided by SES to prevent injuries to personnel, to minimize damage to system components, and to limit the extent and duration of service interruptions caused by equipment failures, human errors, or adverse natural events. SKAE engineers have extensive experience performing electrical-system protection studies for medium- and low-voltage distribution systems. SKAE's engineers utilize the newest industry-standard software programs to develop reliable protection-study reports, which are used to ensure that the proper protective devices are selected and able to protect mission-critical equipment in commercial, industrial, health care and data-center facilities. SES is a recognized industry leader in the performance of short circuit and coordination, arc-flash, harmonics and load flow studies for complex electrical distribution systems. The need for short circuit and coordination studies has long been recognized as a requirement for companies concerned with electrical system reliability and availability. In recent years as the industry has recognized the need for "safety related work practices", per OSHA, NFPA, and IEEE standards, SES has provided arc-flash studies and electrical safety training for countless commercial, industrial, and government facilities. SES conducts a wide variety of power-quality analyses including load and power-quality recordings. We also work in conjunction with consulting engineers to provide proactive recommendations to modify existing grounding systems and protection schemes to improve performance and protect sensitive electrical equipment. 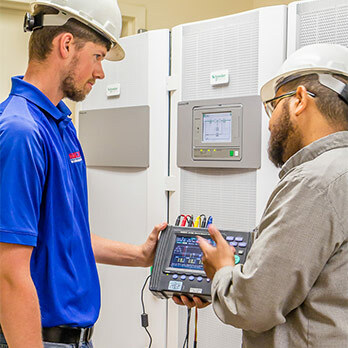 Maintaining accurate, up-to-date drawings of electrical distribution systems is extremely important for the operation of commercial, industrial and academic facilities as well as data centers. Our team has a wide range of experience conducting field surveys of existing facilities and creating or updating schematic drawings. SKAE Engineering Solutions, P.C. engineers use advanced circuit-testing devices to accurately identify circuits before drafting as-built drawings using the most recent versions of AutoCAD. This facilitates maintenance and expansion projects and helps clients' staff and consultants troubleshoot problems or anticipate ones that might arise in the future. Our as-built drawing projects have ranged from modest data-center or single-facility reviews to evaluations of large 2 million square foot office buildings served by complex systems that have been expanded in a piecemeal basis over the building's life. 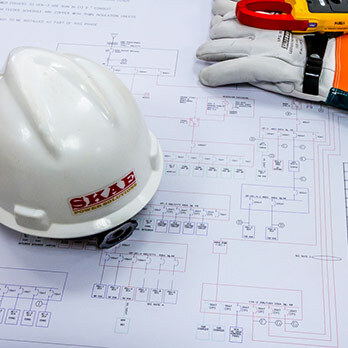 SKAE engineers regularly prepare and issue Methods of Procedures (MOPS) for work on and around Mission Critical Infrastructure. MOPS are a critical “best practice” tool, an essential road map to mission success. They sequentially document step-by-step the tasks to be performed, when and by whom, from prerequisite tasks to restoration to normal operational status. The SKAE MOP is recognized in the industry for its detail, organization, and thoroughness. 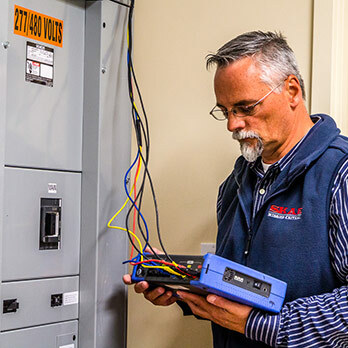 Most weekends throughout the year, SKAE engineers are at customer sites managing and directing shutdown procedures associated with the installation, integration, testing, and commissioning of mission critical equipment, or scheduled or remedial maintenance. 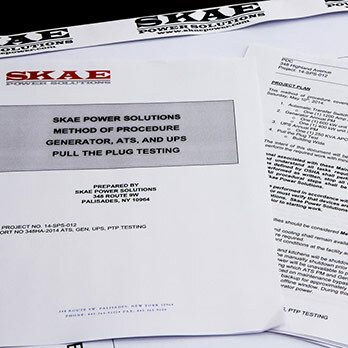 SKAE assumes overall responsibility on behalf of the owner to direct all tradesmen and equipment Field Service Engineers (FSE) in the execution of the shutdown procedure, scrupulously following the task specific MOP generated for the particular work to be completed, according to OSHA guidelines. In light of the potential threat to critical system availability and human safety of this very demanding work, this is a responsibility taken very seriously by TEAM SKAE.